WWE Superstar Mustafa Ali has commented on Kofi Kingston taking his spot in the Elimination Chamber match. What did Ali have to say? Mustafa Ali was set to be one of the six participants for the WWE Championship Elimination Chamber match which also features WWE Champion Daniel Bryan, AJ Styles, Jeff Hardy, Randy Orton and Samoa Joe. However, Mustafa Ali suffered a legitimate concussion at the hands of Orton following a recent singles match the pair had on SmackDown Live. This created a gauntlet match to determine who would take Ali's place, where we saw New Day member Kofi seize the opportunity, outlasting all other challengers in a gruelling 60+ minutes to win the match and earn a spot inside the Elimination Chamber! As first reported by ProWrestling.com, Mustafa Ali went on his Twitter page to comment on Kofi Kingston taking his spot in the WWE Championship Elimination Chamber match. Obviously, he seems to be disappointed and rightfully so due to the circumstances surrounding his injuries. WWE Elimination Chamber will be going live in less than a half hour with the kick-off show starting at 6pm (EST) on the WWE Network. The official start time for the pay-per-view will be at 7pm (EST), as the event will be headlined by two Elimination Chamber matches. One is to crown the first ever WWE Women's Tag Team Champions, the second will determine who heads into WrestleMania 35 as the WWE Champion. As always continue to follow Sportskeeda for all your wrestling needs. 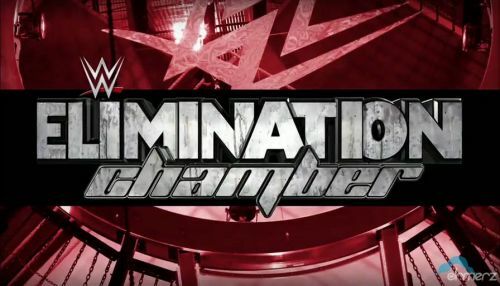 We will have match-by-match analysis and breaking news stories for tonight's WWE Elimination Chamber event. Stay tuned!